A thing of beauty is a joy for ever ~ and one such is ‘Marina beach’ known for its pristine beautiful sandy shores - that runs from Fort St George to Besant Nagar. This beach has a long history. 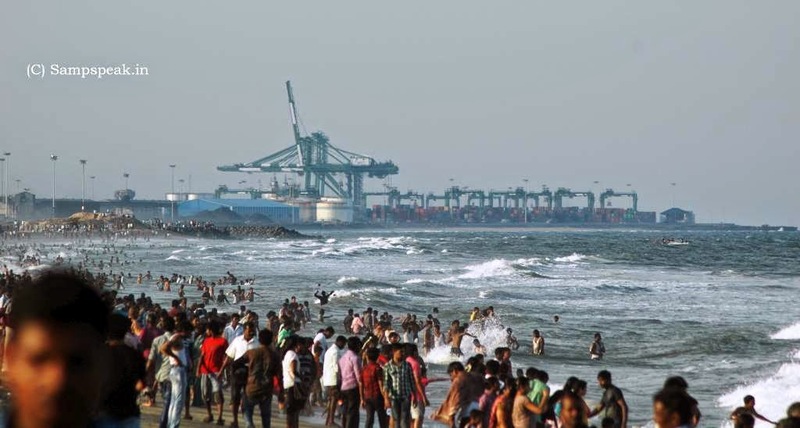 This was conceived in 1884 and christened by Mountstuart Elphinstone Grant-Duff, the then governor of Madras – the beautiful beach is famed for the ambience and rich eco system though it stands a lot polluted now. On the road side, many stone statues, some of them installed during the Tamil World Conference adorn the area. 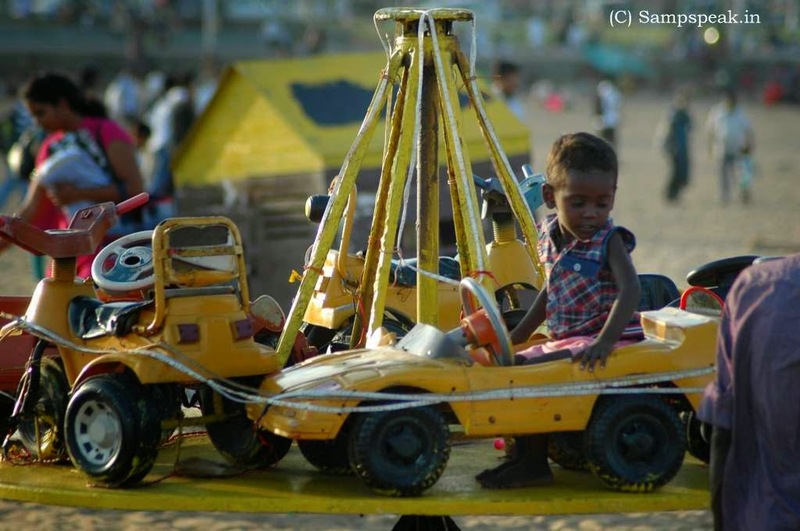 Early morning the famous Marina beach offers intriguing things. There are young, old, fast, slow, and varied people indulging in chit-chatting, eating and drinking the various health drinks ! that are sold on pavements. You can see people walking, walking fasting, jogging, sprinting, skipping, doing physical exercises, yoga, laughing out loud – more – all law unto themselves – thinking and spreading that these are the passport to good health. You can hear the sea, the sound of waves and nearer – the waves jumping and touching the shore and then submitting themselves to the shore but trying to comeback to conquer again ! would be very interesting sight – One can see monstrous ships anchored in the middle of sea, some fishing boats and Sun coming out as a red ball from the Sea – all great sights to behold. To those given to enjoying Nature, the morning at Marina provides innumerable things like morning birds, dogs – stray, and owned – local and foreign breeds of various sizes; posh cars; bi-cycles; vast expanse of sand and more…..
Chennai swelters a lot and when Summer is peak - more people come to Marina to enjoy the natural cool sea breeze……… during summer vacation - the Police control and regulate the flow of oncoming crowds by making beach road one way and by diverting vehicles at various points. Long back the great Sujatha wrote a short novel titled ‘Marina’ – the plot was woven around misdeeds of a wastrel son of a rich father – it described the shady night time of beach haunted by spoilt rich who get into unadulating crime…… the climax would reveal not who the killer was but there was no murder at all - yet the spoilt-broth in a poetic justice would get arrested for some other crime ! 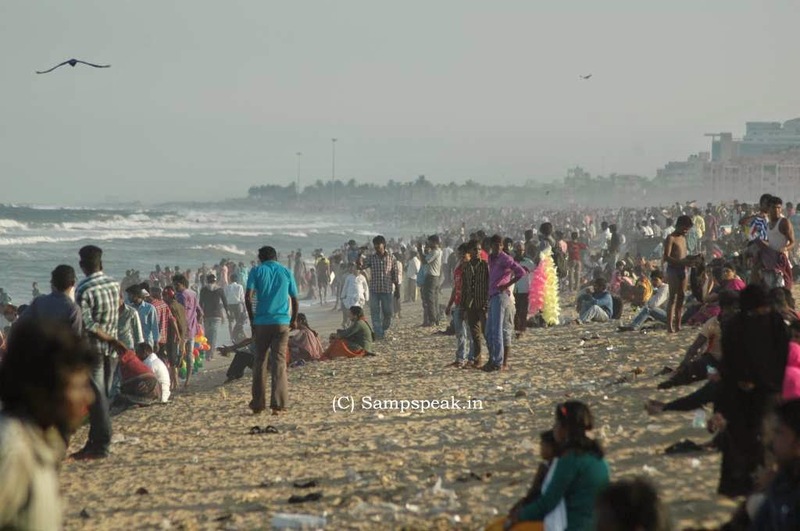 In end Aug, it is no longer summer – there have been rains – this Sunday (24th Aug 2014) had a casual stroll in the shores of Marina beach and the beach had so many people - enjoying the evening. Here are some photos taken by me.